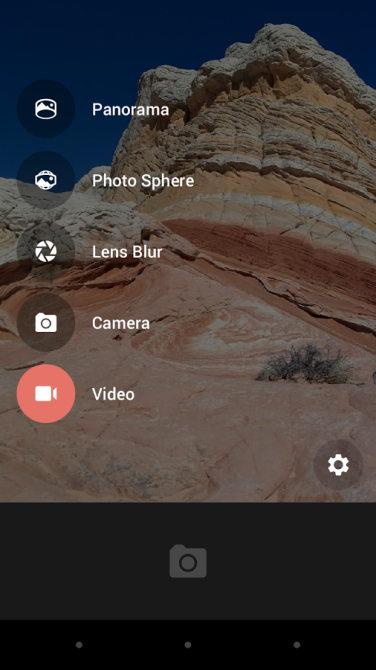 Google’s recently released Camera app just got given a pretty welcoming update, with some features coming back from the old Camera software that the Play Store app replaced. When Google Camera was first released a few months back, it was pretty bare-boned and minimal; the revamped app was Google UI in its flattest and most minimal look yet, and the overall look of the interface just screamed “simplicity”. Though I’m not much of a fan of the off-screen buttons (which can be a hassle when shifting orientation), Google’s new camera app has been nothing short of smooth; it’s about time a bit more was added to it. The update, rolling out today, brings back the ability to shoot in different aspect ratios (4:3 & 16:9). Be careful, though; shooting at 16:9 crops a few megapixels out, so make sure your phone has enough power to get the detail you need in widescreen mode. The option to use a timed shutter is brought back, along with the ability to shoot stills during video recording, and few upgrades to the panorama modes. Notably, one of them is the ability to shoot in fish-eye and wide-angle formats. Now, that’s something you’ll have to test out yourself if you want to know how well it works; when Lens Blur first came out with the new Camera app, it was literally the trigger for my relapse into finals week procrastination because of how awesome the photos came out. But considering the fact that there’s a variety of Android models out there, the quality of the app itself will vary. With how clean-cut and anti-skeumorphic this app really is, you can really tell that Google’s trying to improve the photography experience on their devices. With the iPhone still holding its position as the most popular camera in the world, Apple’s already designed and perfected the perfect smartphone point-and-shoot. After having years of experience with both platforms, what I can say about Android is that they can really benefit from having camera software that reliable. iPhone just does it right in that department, and it looks like Google knows what it’s doing now, as well. But at the end of it all, the one thing I look most forward to with this app is the new rotating shutter option they implemented into it. It’s a hard life out there for the left-handed. The update should be getting pushed through if you’re on a WiFi connection, and you can grab it from the Play Store, as well! Does anybody really care about camera phones and the ‘point & shoot mentality’ of processing filters ? i don’t care much for processing filters. but i do find myself using the camera on my phone way more often than my D300. Unfortunately white balance controls are still missing. And on the Nexus 5 you seriously need them. Just out of curiosity, I followed your link to test this app. It says it’s “incompatible” with my Android phone, so… Sigh.